Isn't it fun? I couldn't wait to try it out! 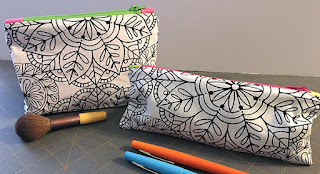 If you have a Silhouette or Cricut, make sure you check out these other projects. I decided an apron was the perfect project. 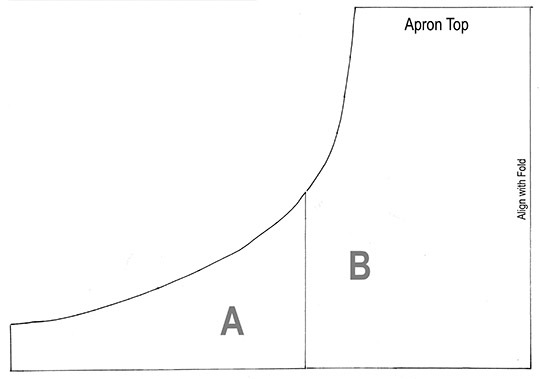 This is my absolute favorite apron pattern. It's so easy! 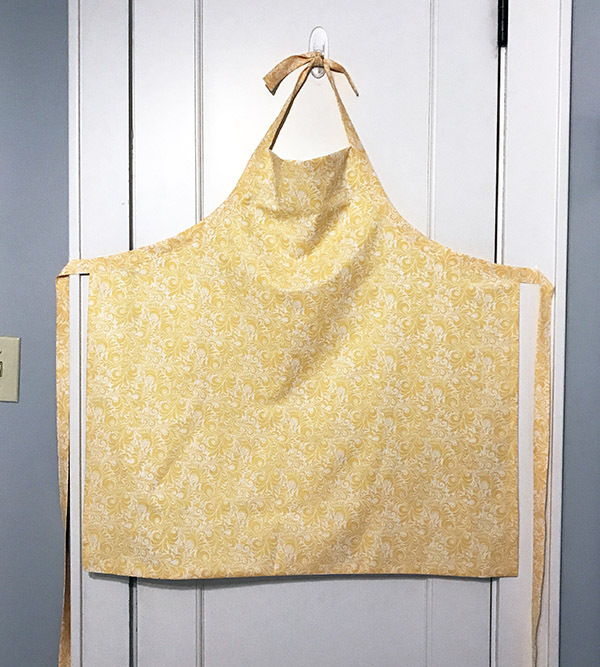 It's just two pieces and a couple of seams, and the finished apron is completely reversible so you can get two looks from one project. Cut a 30" square from each of the two fabrics. Fold the squares in half. 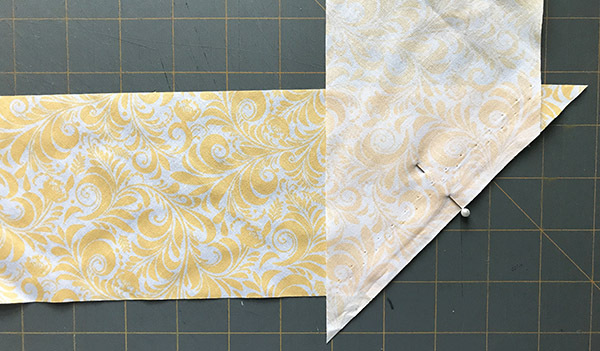 Line up the top of the pattern with the top edge of your fabric, placing the pattern against the fold as indicated. 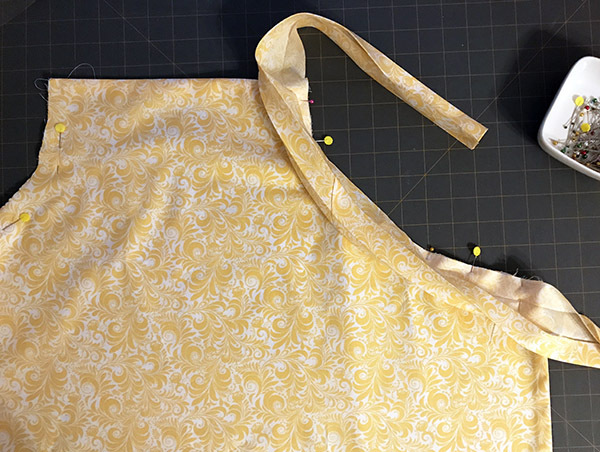 Cut along the curved line only to shape the armholes of the apron. Unfold the apron pieces and pin them together, right sides facing. 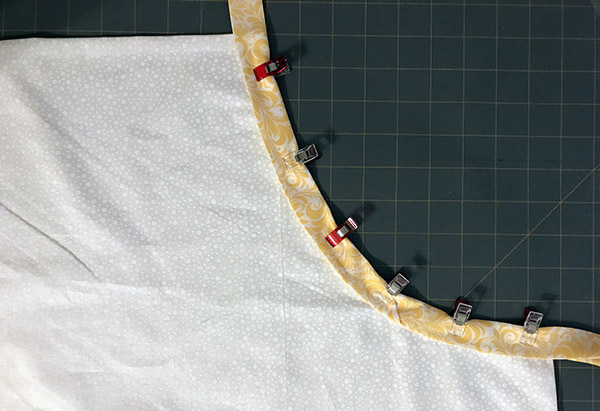 Sew along the top, sides and bottom with a 1/2" seam. DON'T sew the armholes. Turn the apron right side out through one of the armholes and press. Cut 4" bias strips from the remaining piece of Fabric A. 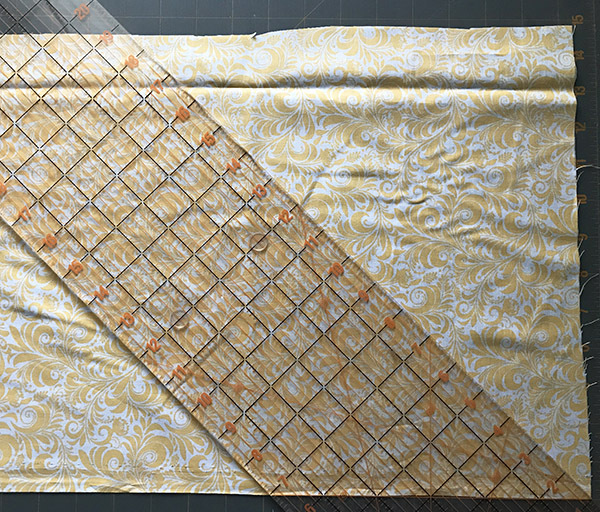 You can either use a quilt ruler to cut the strips by lining up the 45 degree line with the edge of the fabric, or fold one corner of the fabric down to meet the long edge to create a 45 degree angle. You'll need enough strips to total 120" in length. 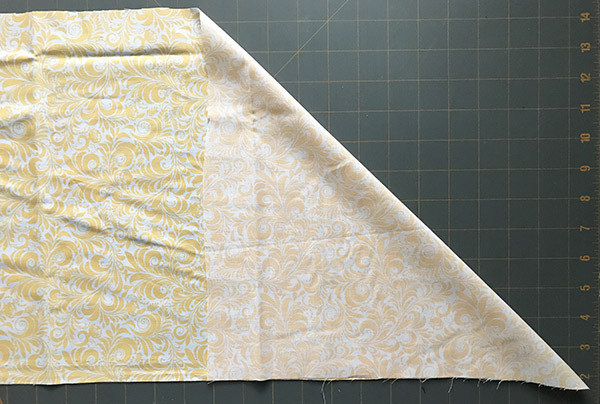 Square off the short ends of both strips and fold 1/2" of each end to the wrong side of the fabric. Press the fold. 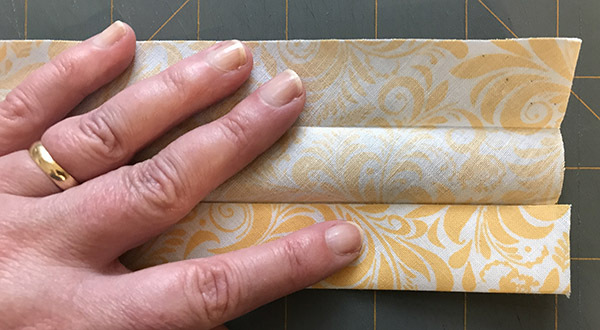 Fold each of the two 60" strips in half, right sides facing, matching the long edges. Press the strips to mark a center line, then open them up and fold both long edges to the center. Press, then refold the strip along the original center line with the raw edges folded inside and press one more time. 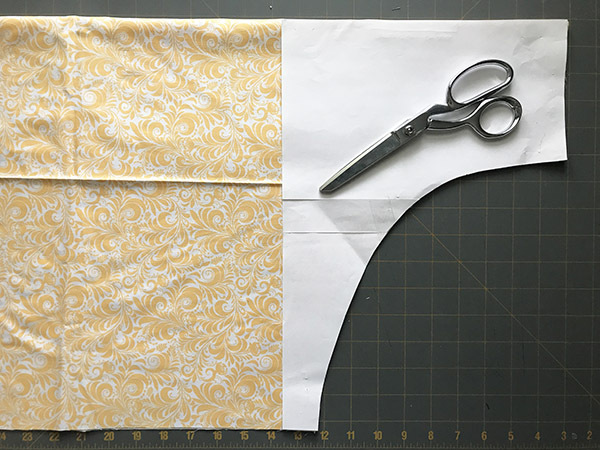 Unfold a strap, measure 12" from one end, and pin the strap to the front of the apron beginning at the 12" mark. The right side of the strip should face the right side of the apron, with the raw edges lined up. You may need to stretch the strap a little to get it to lay smoothly around the curve of the armhole. Stitch the strap to the armhole, using the fold line closest to the armhole edge as a guide. 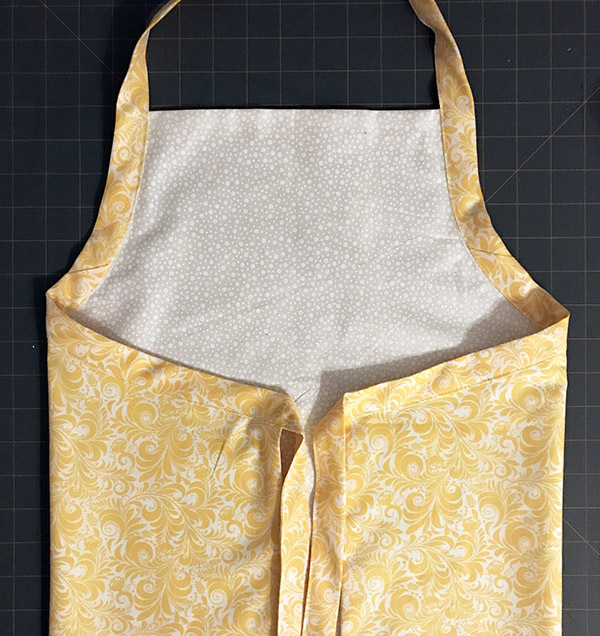 Lay the apron flat with the back side up and fold the strap around to the back, sandwiching the apron in between. Line up the folded edge of the strap so it just barely covers the stitching line from where you attached the strap, and pin or clip it in place. Pin the rest of the strap together all the way to both ends, and topstitch close to the edge. Repeat for the other strap and armhole. 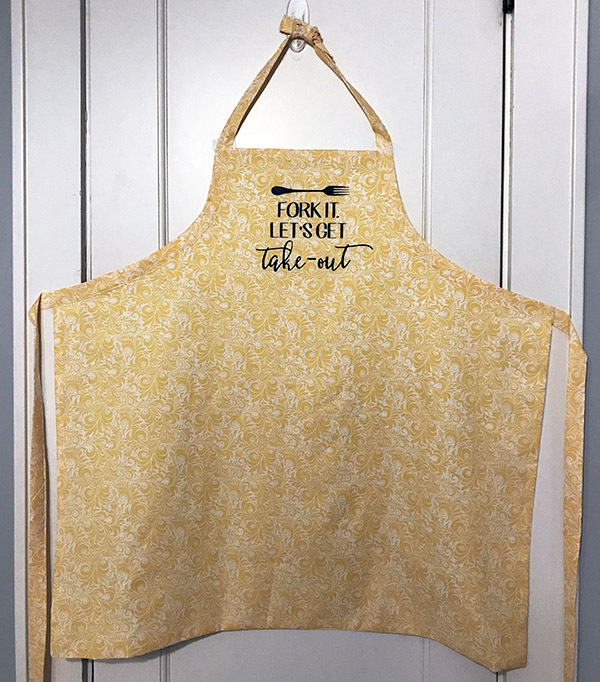 If you don't have a Silhouette or don't want to add an iron-on transfer, you could just stop here and have a perfectly cute apron. But I wanted to dress mine up a bit, so I cut the design out of black vinyl, centered it on the bib of the apron, and ironed it in place following the instructions that came with the vinyl. I'm new to Silhouette and this step made me a little nervous, but it cut perfectly. I still get ridiculously excited when I manage to make it work! I love it! 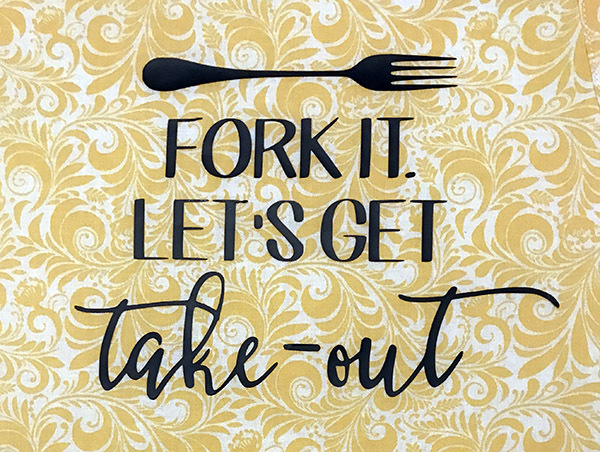 I'm going to a family reunion this weekend and this will definitely be making an appearance in the kitchen. Here's what the back looks like. 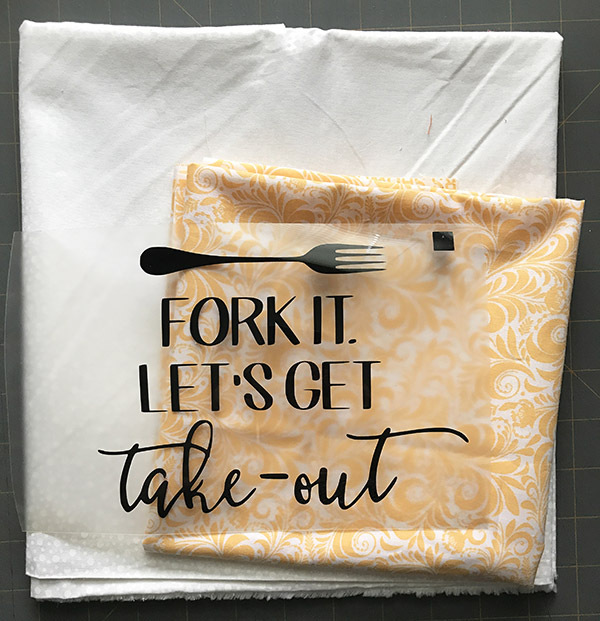 I used white fabric because I didn't want another print to show the yellow fabric (it's pretty thin), but I've made this with two different prints and it turns out really cute. 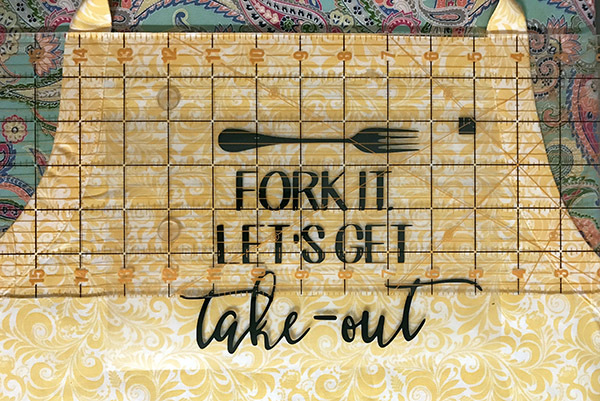 There are so many ways to customize this apron. 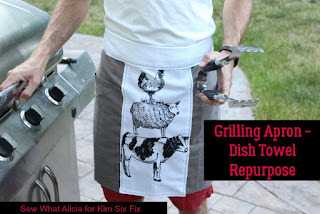 You could use heavier fabric for a man's grill apron or a garden apron, or use really kitschy fabrics for a fun retro apron. 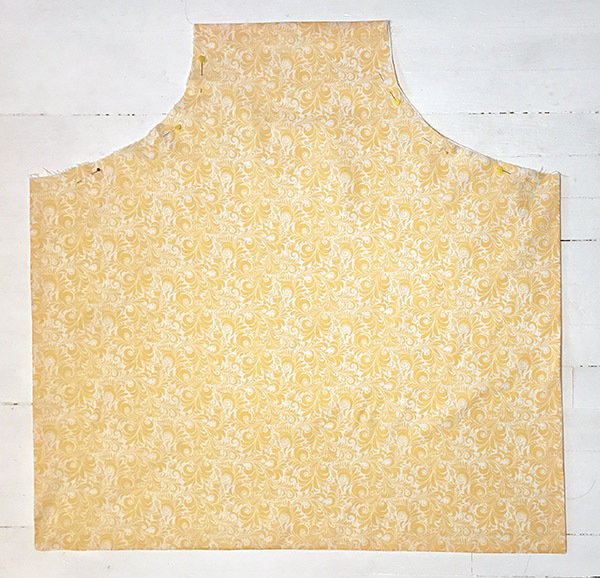 You can round the corners, add pockets, add rickrack trim... I've made half a dozen so far and no two are alike. I hope you enjoy making one (or six) of your own!